Blog Tutorial Inspirasi Teknologi | Blogme.my.id MediaTek Octa-Core nvidia Qualcomm [News] Nvidia, Qualcomm and Broadcom Prepare 64 Bit Processor? [News] Nvidia, Qualcomm and Broadcom Prepare 64 Bit Processor? Apple's latest smartphone , the Apple iPhone 5S A7 processor uses 64 bits . 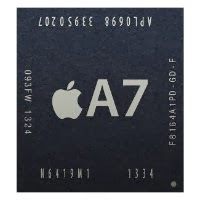 Apple then use a 64 -bit processor for the new tablet , the iPad and the iPad Mini Water Retina . Not surprisingly, some chip manufacturing smartphones such as Qualcomm, Broadcom and Nvidia rumored to be making a 64 bit processor . Reports from the same source by PhoneArena also suggests that the chip maker is not so concerned with octacore chips from Mediatek , but rather focuses on the development of 64-bit chips like Apple . Mediatek itself has received a lot of orders from vendors smartphone chips octacore upper and middle class in China . But the other chip vendors remain focused to develop 64-bit chips and do not want to make octacore like Mediatek chip . So Qualcomm , Broadcom and Nvidia reworking them to pursue Apple's roadmap . Ironically , the development of 64-bit chips from Mediatek itself delayed by the manufacture because they chose to focus on the product octacore .